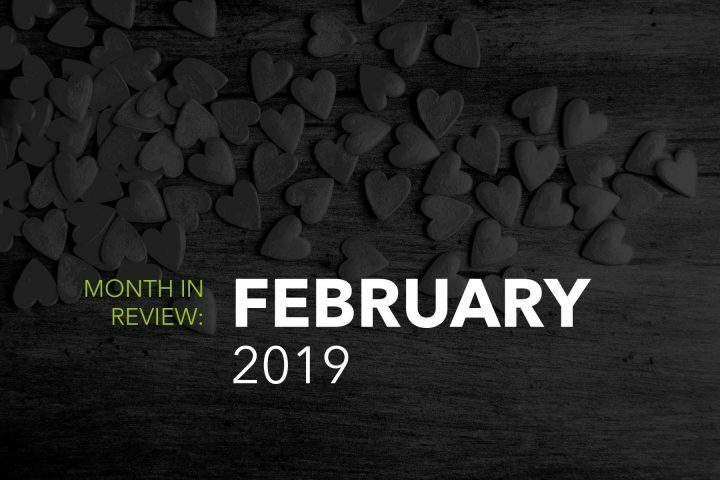 A trip down memory lane, from Baywatch to Blockchain. The World Wide Web started as a vision of a ‘hyperlinked information system’. Essentially a library of on-screen data which you navigate by clicking on some text or an image, exactly like you do today. The purpose of the internet remains largely the same today but the way in which we interact with it, the way businesses and consumers use it and the technology we use to power it is completely different. 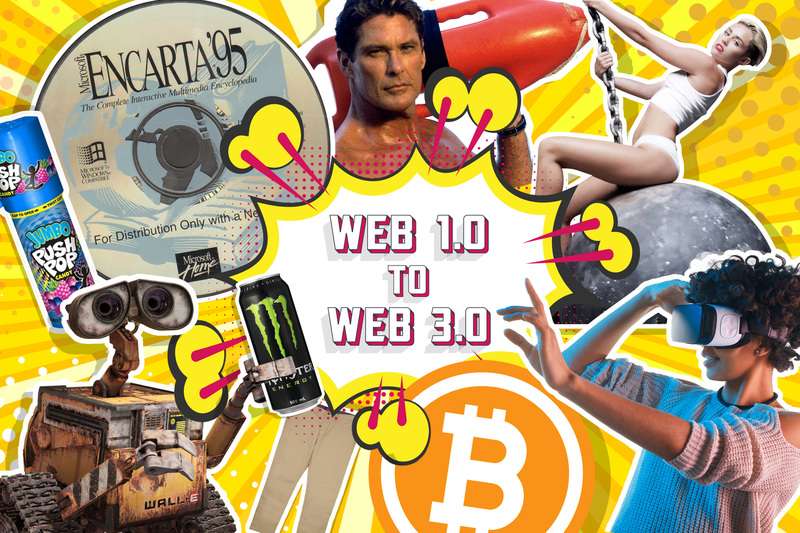 Here we look at the monumental transition from Web 1.0 to Web 3.0. 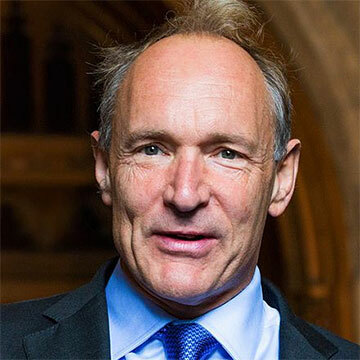 Before continuing we would like to thank Tim Berners-Lee for having a vision. Without Tim’s vision we would not be doing what we know and love today. Born in London in 1955. The “read only web” is where the internet we know started. Websites were purely information based and made up entirely of static content. Web pages linked together only with hyperlinks and contained no interactive content or any element of design. It was the era of supermodels, Baywatch and Noel’s House Party was on TV, ‘Don’t Push Me, Push A Push-Pop’ was the playground catchphrase and if you had Encarta on CD-ROM you were considered posh. ‘Archie Query Form’ was the first ever search engine. Lycos was one of the largest search engines having launched in 1994 (who else had an @lycos email address? ), followed a year later by the launch of AltaVista which went on to peak with eighty million users per day in 1996. A staggering number in such a short space of time. Yahoo also launched in 1995 and is still the third largest search engine at the time of writing with 13% market share, one of the few search engines to launch in the 90’s and stick around through Google’s dominance. Google (the search engine) didn’t launch until three years later, in 1998, run initially from a garage and created as part of a school project at Stanford University, the creators (Larry Page & Sergey Brin) had a vision of a search engine that analyses web pages based on the number of times a search term appears on a page – today this approach is now known as keyword stuffing and is a ‘black-hat’ SEO technique. How times change! Ask Jeeves (now ask.com) was a question-based search engine who later went on to spend a fortune on a dodgy TV advertising campaign. 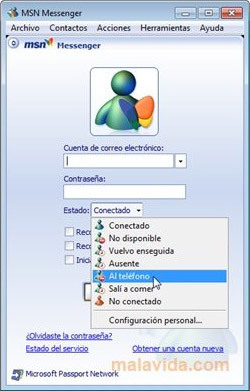 If you remember MSN Messenger it’s likely for one of two reasons; it was either the obsessive chat app that allowed you to speak with friends after school or it was the annoying internet thing that you’d only let your kids use during Brookside because it blocked the phone line. 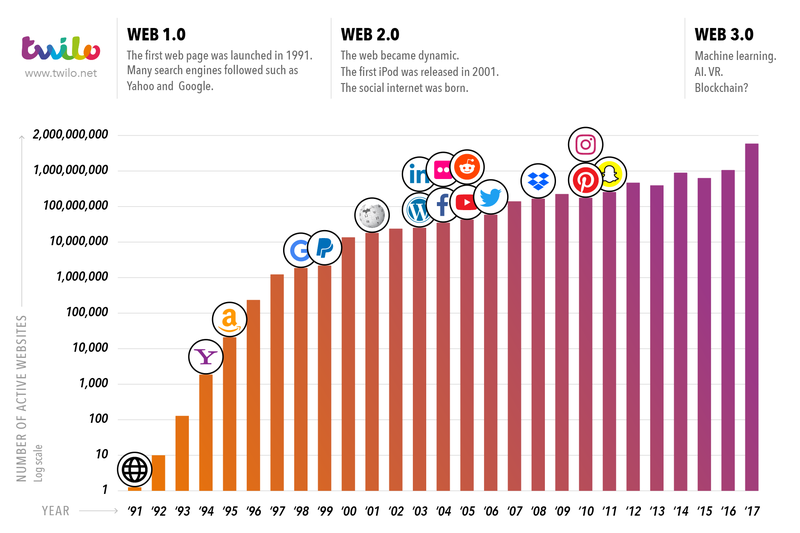 Web 1.0 spawned the dot-com bubble which occurred between 1995-2000 and included many internet-based businesses. The eventual (and perhaps inevitable) crash caused many of these businesses to close completely, with companies like Cisco losing almost 90% of its stock, while Amazon (1994) and eBay (1995) managed to recover quickly. Before we continue to part two, here’s an infographic showing the increase in the number of live websites since the internet was born, from the first website in 1991 to 1,766,926,408 live websites at the close of 2017. Fast-forward ten years and Web 2.0 is well underway. Boot-cut jeans are replaced by chinos, energy drinks are a thing and Miley Cyrus is a Wrecking Ball. Some would say the transition from Web 1.0 to Web 2.0 is still evident today, despite the emergence of Web 3.0 technology in recent years, given that websites still exist in purely static form and some users still have a reluctance to embrace new technology and all it can do to help us. Advances in technology have allowed individuals and businesses to exploit the web for their own financial gain and/or control. Software such as Limewire (now discontinued) allowed us to download the latest audio tracks at painfully slow speeds and add them to our iPods (2001) while music streaming services have greatly reduced the royalties paid to artists through highly priced tangible products such as CD and vinyl albums. ‘Flash’ websites emerged during a period of some of the worse web design you will ever see. Dancing Homers appeared on business websites with music that would play without any option to turn it off – thank you a thousand times to Apple for their great contribution to killing off Flash! Today, Apple and Samsung have a firm grip on the smartphone market. Smartphones meant the introduction of fully responsive websites and job titles emerged for User Interface (UI) and User Experience (UX) Designers. 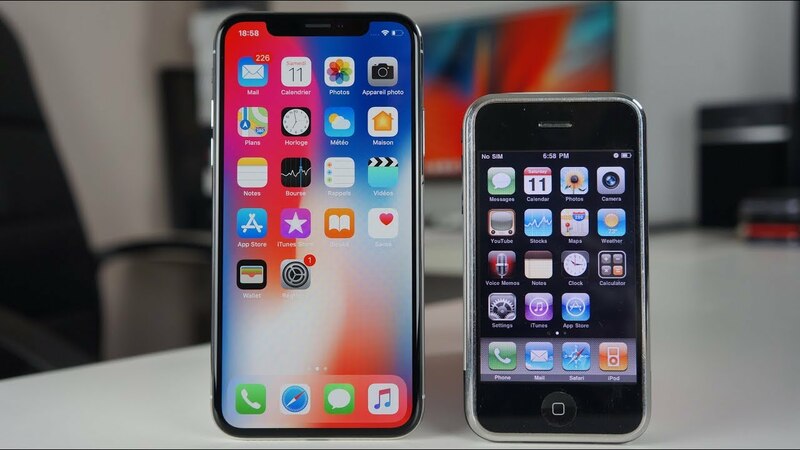 The image below shows the first iPhone next to the latest iPhoneX (credit Youtube). It’s clear to see the difference in the style of design and improved display technology. MySpace launched as the first widely-adopted social media platform before Facebook (and Twitter) crushed it two years later. Social media on the whole has helped shape the world we live in today for the better. Some people have strong opinions on its use; either embracing it to further themselves and connect with others via apps such as Twitter, Instagram and Snapchat, or staunchly refusing to adopt any form of online interaction and blindly labelling it as a bad thing. Oftentimes we have to look at both sides of the argument. Websites have improved dramatically over the last five to ten years thanks to improved internet speeds and advances in web browser technology, allowing designers and developers to create fully interactive and engaging websites for their visitors. Gone are the days of having to choose from just a handful of fonts, coding with tables and working to ungodly hours to fix cross-browser layout issues – damn you Internet Explorer 6! 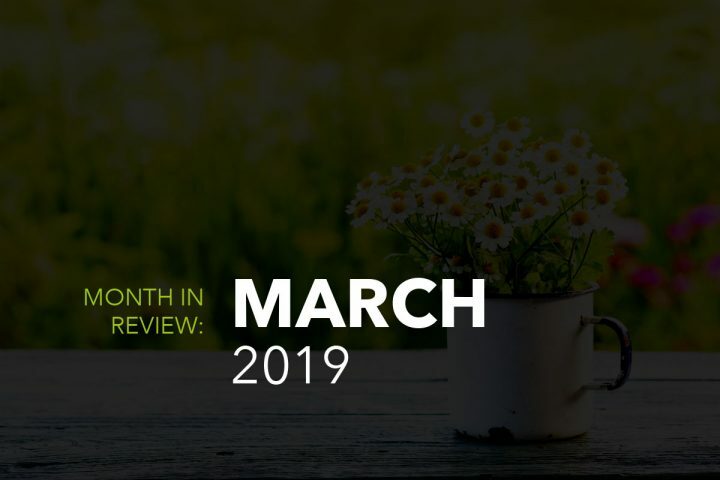 Blogging became popular with the introduction of WordPress which started as a PHP & MySQL-led blogging platform and has now advanced to become a full content managed system (CMS) which powers over a quarter of the web. WordPress and other platform giants are already developing systems that will thrive in the Web 3.0 era. E-Commerce has completely revolutionised the way we shop. As consumers, we are now used to instant access to the data we desire at any time. Using a smartphone we can book cinema tickets, buy our food shopping, check the weather and book a taxi in a very short time. That’s Web 2.0. Who’s to say we won’t be purchasing products with our thoughts or behaviours when Web 3.0 technologies advance further? You can now order a product you desperately need and have it delivered to your door within 1 hour using the Amazon Prime Now app. Such is the convenience arrived by Web 2.0, Wall-E is one step closer to becoming a reality. 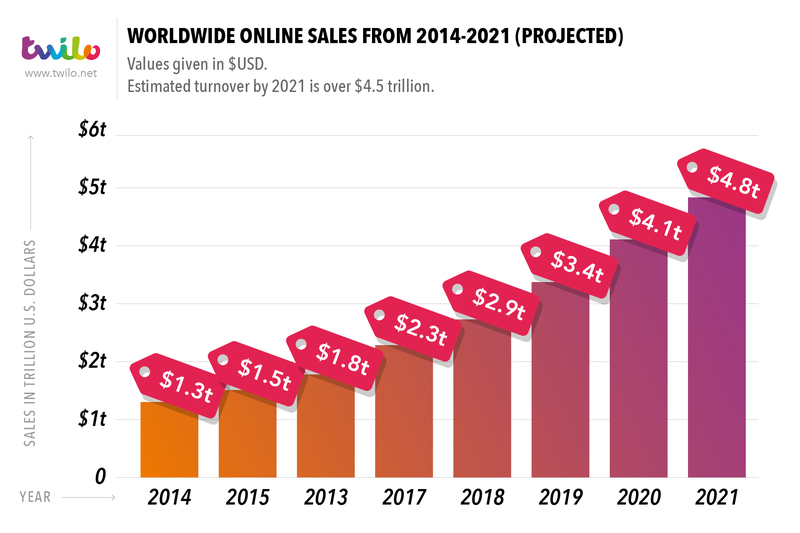 Online sales will hit close to $3 trillion USD worldwide for the year 2018 alone, a figure which is growing rapidly year on year thanks to the rise of e-commerce websites. Today’s web has allowed retail businesses to run solely online without the need for bricks and mortar stores. Of course this also has a downside, many high-street retailers are closing their doors due to people shopping from their phone or tablet. But as a user of these technologies it’s wrong to be sad when we see such news while we contribute to their downfall with every online purchase we make. Modern advancements allow us as a digital agency to create fully interactive websites, apps and software, along with targeted marketing campaigns using data which you freely pass on, often without knowing. Advertising tools such as Google Ads allow us to create target profiles based on an individuals internet browsing history and lifestyle interests, and then target users who fit such profiles with custom ads. While Sky AdSmart allows businesses of all shapes and sizes to target relevant audiences based on their internet browsing behaviour, amongst other things. So you could be watching the same TV program as your next-door neighbour but see a completely different set of adverts during the break. 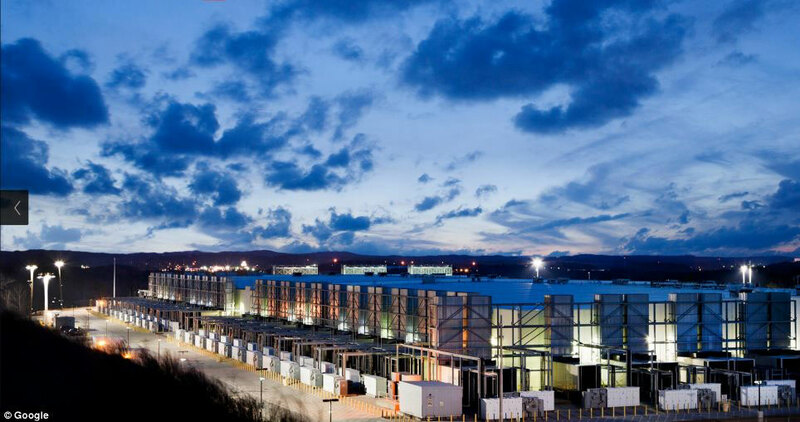 Google and other large internet businesses have huge data centres all over the world, the data centre below in Iowa (photo credit Google). 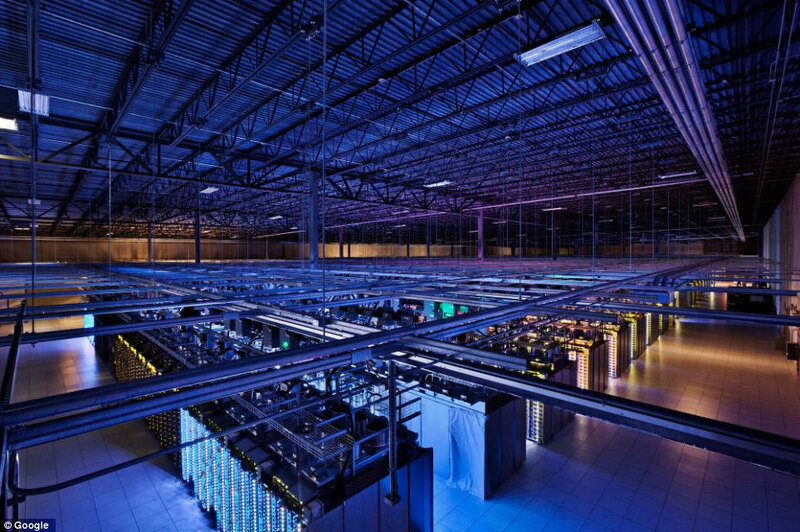 You can also take a walk around Google’s North Carolina data centre using Google Street View. Today your fridge counts your daily calorie intake and console games are played using virtual reality headsets. Thankfully people have stopped wearing chinos. The next phase of the web is well underway but the transition from 2.0 to 3.0 has to be gradual, such is the difference in the way in which we will use it. The technophobes will be far fewer as a new generation of users emerge along with further advances in speeds and technology. What Do We Know About Web 3.0? We are now fully in the digital age. Videotapes and Compact Discs and are a thing of the past. Media is widely consumed on apps such as Spotify (2006) and Apple Music (2015) and we watch television programmes on apps such as Netflix (1997) which now comes bundled within modern sets. YouTube already has higher viewing figures than live television which is a clear indication that live TV (other than events) will be a thing of the past and we will watch our favourite shows through various subscriptions as we already do today. Sky television is now geared towards ‘On Demand’ and ‘Box Sets’ as they look to lead the way with subscription-based programming. You may not know it but you’ve already experienced the science of machine learning if you’ve used a search engine or a modern smartphone. Google’s search engine uses machine learning to detect new ranking signals. This is far different to ranking per the number of times a search term appears on your web page, as we saw in Google’s Web 1.0 search engine. Google’s algorithm contains hundreds of ranking factors making it increasingly difficult to rank your website for your chosen keywords. In fact, that approach is now considered prehistoric. Search engines also use pattern detections to identify duplicate content (which your website could be marked down for), making the process infinitely faster than if it was done by humans. To present an example you may be able to relate to… Have you seen ‘the middle button game’ recently circulating on social media? It’s where you start a text message with a specified word and then you hit the middle button a number of times to complete a sentence. Do you know how it figures out what word to put next? The software has examined your behaviour while typing previous text messages to understand and predict the next word you are expected to type in the sentence. Admittedly the accuracy isn’t great at present, but expect this to get much more precise in the near future as operating systems advance. Try it for yourself. Open up a text message, type a word (in the example below we’ve used ‘Websites’) and hit the middle button ten times. Let us know if you come up with anything interesting! AI is nothing new, but in terms of exploring this technology and adopting it into our everyday lives, we are some way off. Ground-breaking technology is often expensive and not readily available to everyone. The likes of Stephan Hawking and Elon Musk have expressed their concerns about AI decimating jobs not just in factories, which have already been affected, but throughout all types of industries. Humans demand convenience and our greed could lead to this fear becoming a reality, making it increasingly important we keep up with technology to ensure we have a place. Web 3.0 – What next? We’ve already experienced cross-platform software and games. Once upon a time you weren’t able to open an Adobe Photoshop file created in Windows on a Mac, and vice versa. The same was true of other software applications. Today you can open up an Adobe Photoshop file on Windows OS, Mac OS as well as mobile phone and tablet applications. 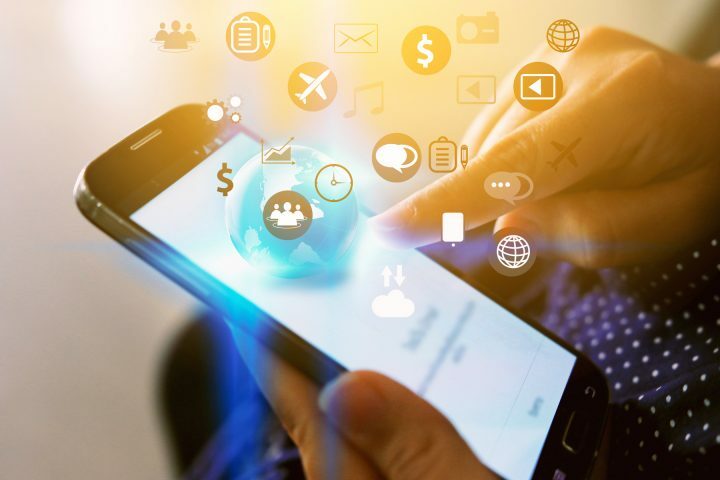 The future of Web 3.0 points to universal applications which can be read and used by a large number of devices and software types, making the ways in which we indulge business and leisure increasingly convenient. Gaming could open up huge multiplayer environments with boundless interaction of worlds and objects. Games may be accessed from any device, perhaps negating the need for gaming consoles altogether as long as you have made the purchase, whether that be an online transaction on your phone or transferring tokens from your watch or headset. Here, have a laugh at Ronnie O’Sullivan playing virtual reality pool! Imagine an internet where data is kept solely in the hands of its rightful owners. Distributed data would be increasingly more difficult to gather for a single person and will reduce the chances of a breach, leaving the internet snakes looking for new ways to make money. Currently businesses generate hundreds of millions of pounds each year from selling YOUR data! Web 3.0 should put an end to that. In its simplest form, a blockchain allows for digital property to be passed peer-to-peer over the internet. The transfer is secure and a public record is kept on the blockchain, while the data is not controlled by a single entity but by a wider community. It is effectively a list of records, it is completely safe and secure and cannot be tampered with, making it a real contender to lead the Web 3.0 revolution. 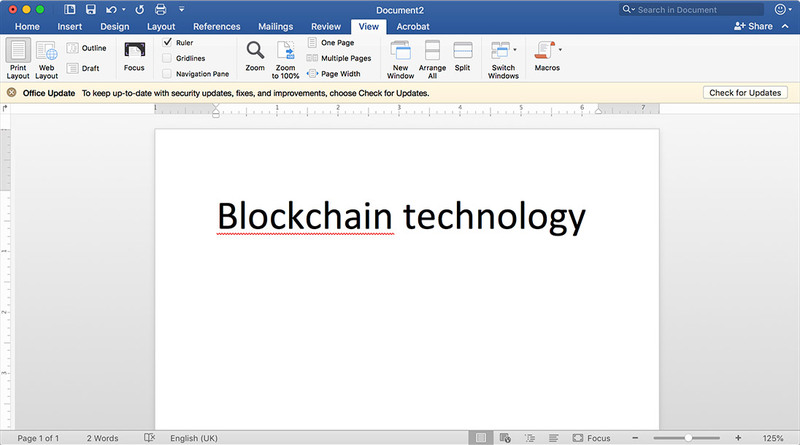 The blockchain was invented in 2008 by Satoshi Nakamoto to serve as a transaction ledger for Bitcoin, which was developed as a result of the global recession. However, Bitcoin is only the beginning for blockchain technology. While we don’t currently have an easy route to adoption it’s clear that Blockchain technology is still in its infancy but it’s already faster, cheaper and more secure than the alternatives we use today. There’s every reason to believe that blockchain will be used across many industries due to its transparent and secure nature, taking the web away from the large organisations and putting it in the hands of its users – you. Thousands of crypto coin and token assets already exist yet less than 5% of the world’s population currently own any. Many cryptocurrencies aim to solve real world problems whether it be corruption, poverty, copyright infringement or data security. These are just a few examples. Other more traditional coins and tokens are simply for the purpose of fast, secure and borderless payments using digital wallets to send and receive funds. The speed and reliability of cryptocurrencies means online retailers will receive funds in the same time it takes to send a confirmation email, making crypto the leader of Web 3.0 commerce. We’ve seen online retailers on the wrong end of cloned cards and hacked PayPal accounts, and while in some instances the monies are insured, it still causes a major headache for the store owner while putting their reputation at risk due to unhappy customers. Using Distributed Ledger Technology (DLT), financial assets are transferred with a stored record – without showing the transaction value – making fraud very difficult. This technology also prevents a double charge to a card as a transaction can only be processed once. At some point most of us have been charged twice when we’ve bought a product or paid for lunch, than had the hassle of contacting the seller and your bank to get a refund. Web 3.0 technology will put an end to that, making double charges an old wive’s tail. 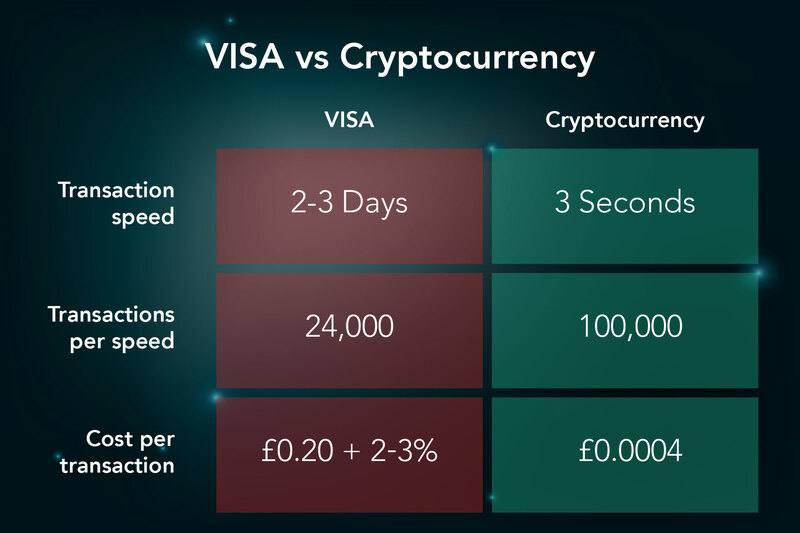 Using cryptocurrency it’s easy to transfer assets from one country to another in just a few seconds, so you could pay for an item in another country without the excessive charges which we currently put up with from our banks. Imagine being in a restaurant paying for your meal or at a garage paying for petrol and your card isn’t working? That’s exactly what happened to thousands of people at the beginning of August 2018 when Visa went down. By contrast a crypto transaction on the blockchain takes just seconds. You could get on a bus and pay for a ticket and the money will have transferred from one wallet to another in less time than it takes you to find a seat. Likewise you could import a product from China and have the funds clear faster than you can say Xièxiè. We will eventually use cryptocurrency for online transactions in one way or another, whether that is by the major banks to quickly transfer large amounts or (ideally) by individuals to pay for goods, it’s happening. Web 2.0 was an Evolution. Web 3.0 is a Revolution. The internet has changed the world we live in today beyond recognition. Mostly it’s for the better, allowing us to be more productive and keep in touch with others by various means is just the tip of the iceberg. Do you remember recording the Top 40 on a cassette tape on a Sunday evening? Do you remember using a pencil to fix the cassette when the tape got stuck in the player? Do you remember who your contract was with when you had an aerial sticking out of your mobile phone? Do you remember the last DVD you bought? Do you remember the last time you paid cash for anything? Ok, that last one was a bit easy, but I’ll ask you again in 12 month’s time and we’ll see if you remember so easily.